Author: muzejski savjetnik mr.sc. Borislav Bijelić, prof.
Art and Urban Design: mr. sc. Mario Beusan, prof.
Kustos: muzejski savjetnik mr. sc. Borislav Bijelić, prof. 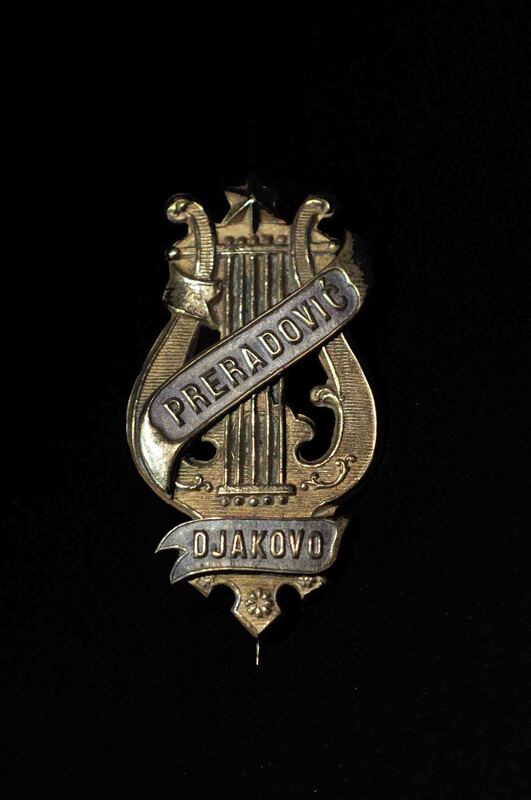 The permanent display of the Museum of Đakovo-region is conceptually conceived as a unique coherent unit based on its three collections: ethnological, historical and cultural, and archeological – which are by the number and by quality of their exhibits the most relevant museum’s collections. 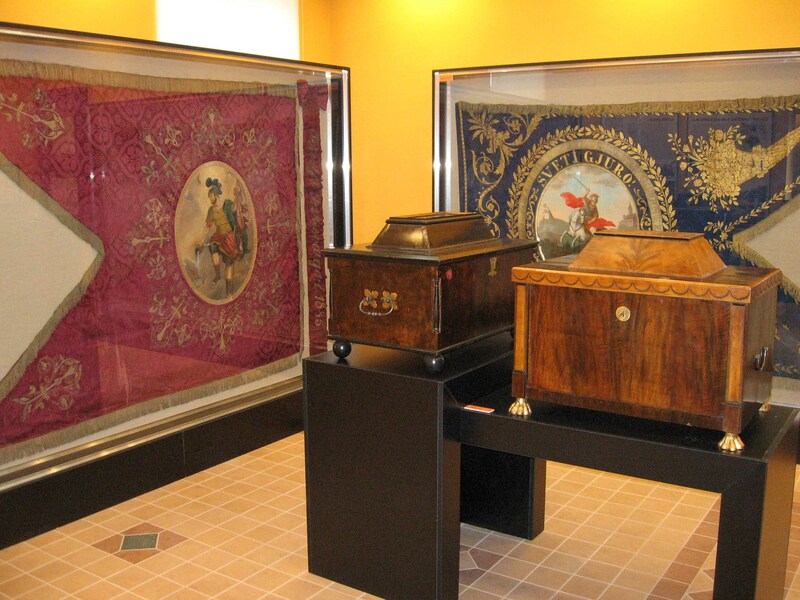 The ethnological display representing everyday life and holidays of Croatian people living in Đakovo region in the period between 1870s and 1930s is situated in the left wing of the museum on the ground floor. To its right, covering the area of 96.8 square meters there is the permanent display of the historical and cultural development of Đakovo. It is organized in several showrooms, the first of which is a ticket office followed by 4 rooms and a corridor that in the chronological order represent 3 major units divided into thematic entities. The first and the largest unit, which covers two rooms and the corridor is called “Đakovo from the 13 th century to the 1940s”. The first room divided into several thematic entities represents the earliest history of Đakovo, its Osmanii period and the historical development of town in the 17 th and 18 th century. The rest of this unit shows the development of the middle-class during the 19 th century and the first decades of the 20 th . 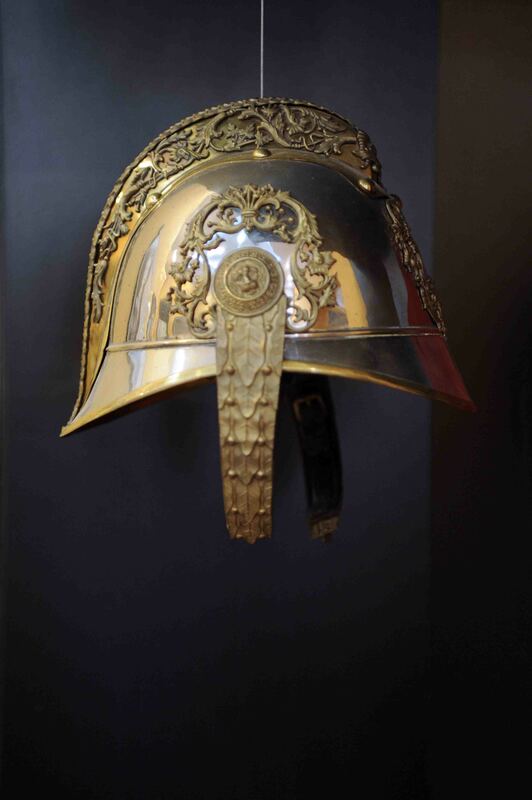 The central part of this thematic entity is the development of crafts and education, but also the exhibits representing activities of various associations and institutions. The third showroom represents the interior of a middle-class salon furnished dominantly in the Biedermeier style. The fourth room belongs to the Patriotic war as a separate entity. 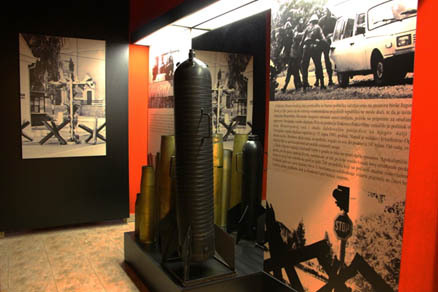 The permanent display of the historical and cultural development of Đakovo holds numerous objects and their interpretations through posters specially designed for the museum’s purpose by means of computer animation. 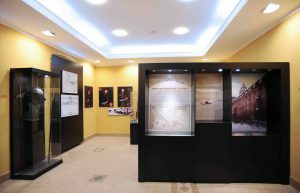 Applied pictorial archivalia and textual summaries of all represented units enable the museum’s visitors to follow and understand the exhibited entities quite easily. The interpretations set up at the entrance of each thematic unit. Apart from the posters there are magnified color prints of the pictures represented in this entity. By opening the permanent display of the historical and cultural development of Đakovo the plan for an integer permanent display of the museum is approaching its completion. After we have – in the foreseeable future – established suitable showrooms for our archeological collection, our museum will become one of the first museums in Slavonia to have a small but complete high-grade permanent display, which will certainly bring about better understanding of the rich cultural heritage of Đakovo and the surrounding area. 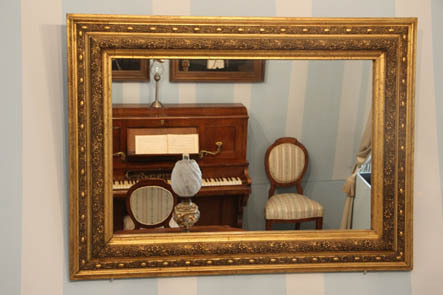 A mirror on the wall of the installation displaying the interior of a middle-class parlour in Biedermeier style.